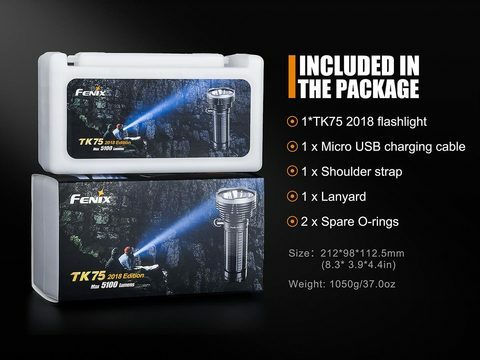 The newly upgraded Fenix TK75 Flashlight now blasts an astonishing 5100 lumens just over a half of a mile (850m) by utilizing a unique quad lighting system featuring cutting-edge CREE LEDs. Easily turn on the flashlight and choose between six lighting levels and two flashing modes with the dual stainless steel side switches. 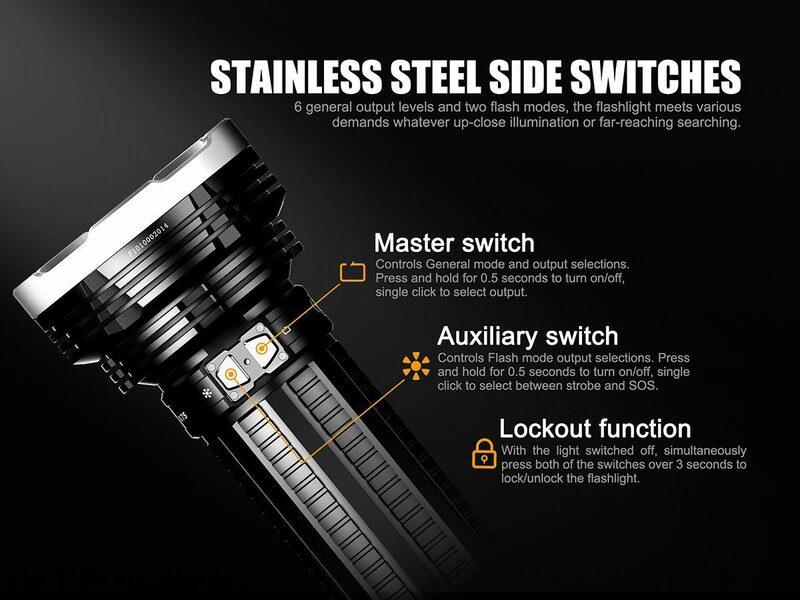 Use the lock-out function to prevent accidental operation and the new innovative battery holder allows you to easily recharge the four 18650 Li-ion batteries (not included with base model) via a micro USB port. 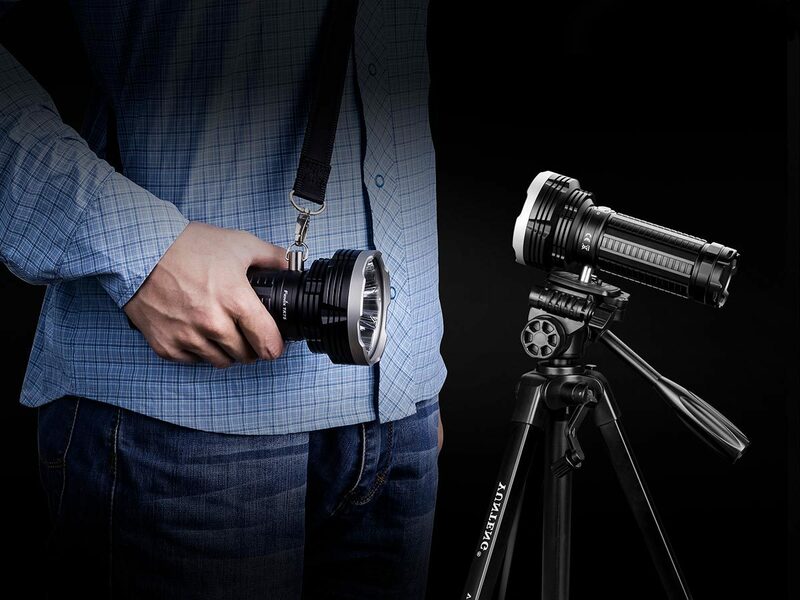 A multi-function socket allows you to attach the included shoulder strap and mount to a tripod. Waterproof and dust proof, the TK75 Flashlight is the ultimate tool for those that have the most demanding lighting needs. Batteries: Four 18650 rechargeable Li-ion batteries (not included in base model) NOTE: The light will not work with flat-top 18650s. 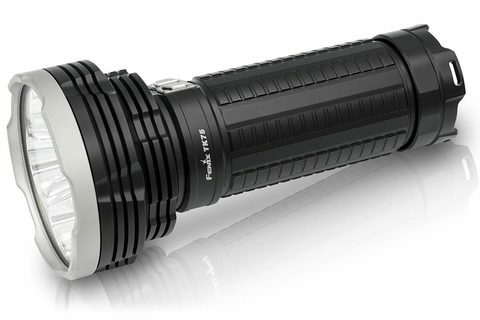 We recommend any of the ARB-L18 series from Fenix.